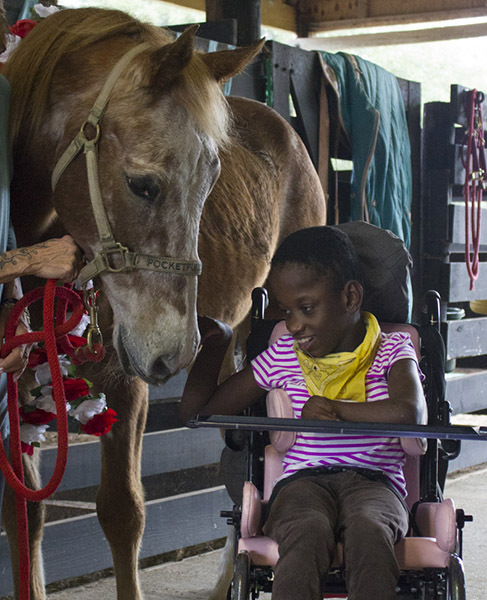 It is with heavy hearts that today we must announce the end of MTRA’s Therapeutic Riding program at Hillcrest School. Unfortunately, after the last hurricane, several sinkholes opened in the pasture where horses were kept. Fortunately, horses were removed to our main Greenway facility before the storm. MTRA has made several proposals to continue to provide services to Hillcrest at the Greenway facility, but lack of budgeted transportation and program funds by both parties has precluded this from happening. This was such a difficult decision, in light of our 30+ years of history with the school, and our wonderful experience helping students learn, grow, and heal throughout the years. We will keep the door open to serving Hillcrest students in any way we can, and hope to work to address transportation solutions in the next school year.